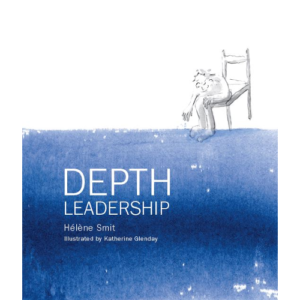 Depth Leadership gives a detailed account of the application of depth psychology principles and practices to leadership. 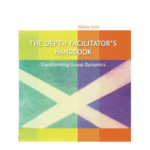 It is a rework of The Depth Facilitator’s Handbook, which was published in 2009 as a textbook for students of facilitation. 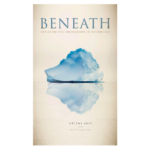 This book is written for leaders who want to use a depth approach in their daily work. The depth approach is based on the idea that human behaviour is determined not only by conscious thought and feeling, but also by a wellspring of thoughts, feelings and potential stored in the unconscious mind. The ideas in this book are grounded in academically sound theory, but are discussed from a layperson’s perspective. The reader will not need a formal psychology background to make sense of it. Depth Leadership is aimed at anyone who leads a group, whether a formal organisational group, or even an informal social group. This book can help CEOs, chairpersons, directors, project managers, teachers, police officers, nurses, municipality managers, preachers, sports coaches, choirmasters and even parents in their leadership practice. Depth Leadership is extensively illustrated by award-winning artist Katherine Glenday. Why do some groups consistently fail to achieve their objectives? How can you avoid power plays in groups? How do you build healthy team relationships that last? What causes unexpected absenteeism, low morale or poor performance? How do you prevent repeated incidents that indicate an intolerance for diversity, manifesting as racism, sexism or other types of discrimination? How do you stop gossip and other undermining behaviours in teams? How do you achieve full buy-in for change processes? How can you resolve persistent people difficulties after mergers and acquisitions? How do you address recurrent conflict between individuals or groups? How do you unleash the full creative potential in a group? Be the first to review “Depth Leadership” Click here to cancel reply.